Read the last installment of a 3 part series of relationship sabotaging behaviors. This article teaches the 10 most common actions that hurt a marriage. Can you save your relationship after the damage is done? Do you hide your behavior when your cravings erupt? Are you likely to get defensive when your partner holds you accountable for your choices? Do you give in to desires that keep you from being the person you want to be? Do your relationships fall apart because of your addictive behavior? Are you unable to stop your relationship-destructive behaviors even when you know you risk losing your partner? Do you cause others heartbreak but feel unable to stop? Love cannot flourish in a triangle. The chapter 9 of this book addresses addictive behavior and offers seven steps to overcome this problem. Being with a martyr is like having a credit card you can never pay off. The martyr’s attempt to build reciprocal obligation is one of the saddest and most ineffective ways to manipulate. People who encourage their partners to take advantage of their generosity and then suffer in silence cannot maintain this imbalance forever. Their partners will eventually get a detailed report of how much they’ve been given and what they need to do to make amends. Martyrs fear that they can never do enough to ensure the reciprocity they may need in the future. Yet they continue to adapt and accommodate to their partner’s every need, hoping that someday they will get their reward. People who become martyrs have usually been taken advantage of as children. Whether their caretakers were abusive, neglectful, or manipulative with guilt or threats of abandonment, they often grow to be adults who come into relationships pre-defeated. They are self-inflicting victims, giving away personal power as an emotional dowry. People who partner up with martyrs may be initially attracted to what seems like selfless generosity. They may even initially bask in the sacrifices that masquerade as unconditional love and acceptance. Unfortunately, the bill eventually will come due. If the debt is too high, leaving the relationship may be the only option available to the martyr’s partner. ARE YOU A MARTYR IN YOUR RELATIONSHIP? Do you feel used and unfairly discarded when your relationships end? Is it hard for you to ask your partners for what you feel you deserve? Are you proud of yourself for asking so little in a relationship? Do you consistently attract selfish or self-centered partners? Do you wonder if you’ll ever get taken care of by anyone? People rarely expect to pay more for the benefits of a relationship than they do up front. The chapter 10 of this book addresses the problem of martyrdom. When partners are defending themselves against a perceived emotional attack, they cannot listen, learn, or change. They are driven to invalidate what they feel as a critical challenge. If you’re like most people, you will react defensively when you feel threatened. It’s difficult to look into the eyes of someone who matters and accept unasked-for criticism without trying to justify what you’ve done, especially if the accusations don’t feel fair. Most people are unsettled when this happens, but they try to consider the source and the situation before they react. Chronic defenders do not have that luxury. If they believe that an accusation is focused in their direction, they cannot respond with anything but a justification for their behavior. If you respond this way, your partner usually will try to invalidate your invalidating response, which leads to a downward spiral. The cycle of attack and defense increases. After several rounds, no one will be listening anymore and nothing will be solved. Defenders often attract partners who are critical and controlling. The dance of accusation and defense becomes chronic bickering that’s often witnessed by others. It will go on until one partner gives up and either sacrifices himself or herself to the relationship or gets out to survive. ARE YOU A CHRONIC DEFENDER? When your partner finds fault with something you’ve done, is your first response to challenge the accusation? Are you ever able to listen to a complaint without invalidating what your partner is telling you? Are you open to seeing yourself through your partner’s eyes, even if it feels critical? Is there any way your partner can approach you with a grievance without your defending your actions? You can learn how to listen to your partner’s complaints without feeling that you must agree with his or her point of view. The chapter 11 of this book addresses defensiveness and how to overcome this problem. 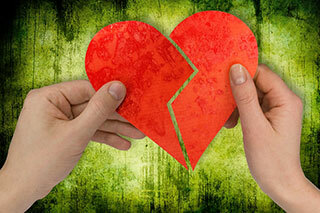 Betrayal is the worst of all relationship-sabotaging behaviors. People who make a practice of breaking promises, rewriting history, ignoring agreements, or denying their partner’s reality break hearts and destroy faith. Of course, many of the agreements lovers make at the beginning of relationships have to be renegotiated as time goes by. People change and relationships mature. But partners who live in each other’s hearts are committed to sharing who they are and what they do as their relationships evolve. Both agree that there are no reasons valid enough to keep anything secret that could adversely affect either partner. They have total faith in the sacredness of that agreement. Trust is faith that what is promised will come true or that the reasons it can’t will be explained. For children, trust is the foundation of the ability to love and to feel safe. If they are consistently faced with disappointment or disillusionment, they come to believe that what is promised is not real and cannot be counted upon. The earlier those negative experiences happen, the more likely those children will grow into adults who can neither trust nor be trusted. When adult trust breakers are busted, they will do whatever is necessary to get out of being held accountable. If their partners feel too uncertain to hold their ground, they may be susceptible to the trust breaker’s ability to get them to believe again. Many partners continue to love their trust breakers even though they know that more betrayals lie ahead. Attachments don’t always make sense, and enough love can rationalize the most painful of outcomes. But, if the couple stays together, the cycles of belief and disillusionment will take their toll. Trust is the foundation of everything that matters. When it’s gone, all agreements become invalid. ARE YOU A TRUST BREAKER? Do you blame your partner when you are clearly responsible for a relationship problem? Do you keep your partner from knowing information that would cost you options were he or she to know? Do you consistently choose to do things that betray your partner’s trust? Are you willing to take advantage of your partner’s gullibility by telling him or her things that aren’t true? Would you stay in a relationship with someone who behaves like you? Whether by omission or commission, lies will eventually create a web of destruction that no relationship can survive. The chapter 12 of this book addresses being a trust breaker and how to overcome this problem. Other Articles by Randi Gunther, Ph.D.